Something that I look forward to as a genealogist is going to conferences. 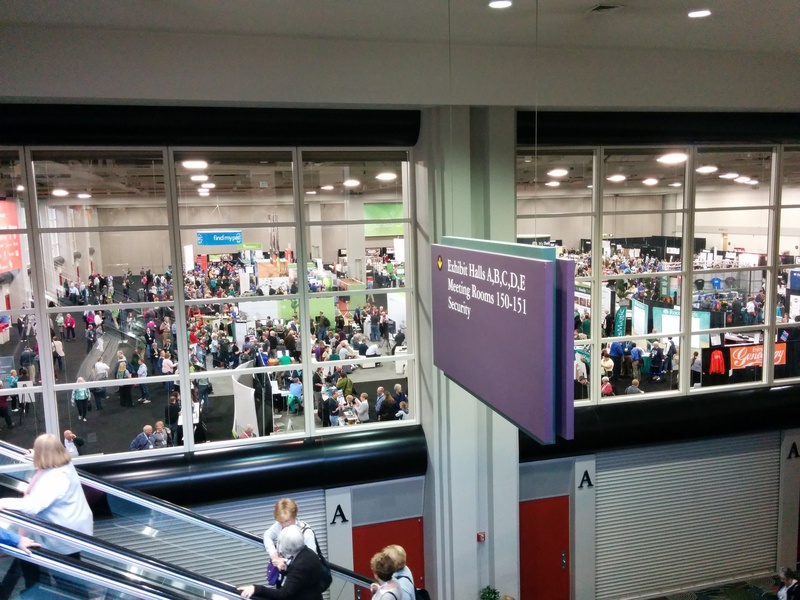 I’ve been to genealogy conferences with 100 people and I’ve been to Roots Tech in Salt Lake City where there was 21,000 people from all over the world. It’s an opportunity to meet other genealogist from far and wide, go to classes and learn techniques for doing genealogy or some aspect of genealogy and it’s a chance to go to the vendor marketplace and see the latest gadgets, programs , websites and talk to experts in the field. For me I like it all. If you know me I’m not a shy person so I’m often looking over my shoulder before the opening session talking to someone and asking them where they are researching. Or doing to the latest DNA session so I can learn the science behind the testing and what it all means. Then it’s off to the Marketplace and see what specials I can find and if they have gadgets then I’m in my glory. After all it was at Roots Tech that I found Flip Pal and I not only had to buy one for myself and my husband but I wanted to sell them and I didn’t even have my store; Shop the Hound yet. So as we drive our RV on our way to Barrie, Ontario for the Ontario Genealogical Society Conference; I’m excited. After all, where else can you meet so many people who you can talk to about genealogy and their eyes don’t even glaze over?